Thanks to all those who provided principal submissions for the Mac-Haydn Theatre 2019 season. We are no longer accepting actor submissions. However, we will have an open call in New York City so keep your eyes out on audition notification services. Season begins May 12, 2019 and ends Sept. 2, 2019. Runs in Chatham, NY. Competitive salary with travel and housing provided. Join the Mac-Haydn technical team and gain strong experience towards your career in theatre. Work with talented professional directors, designers and technicians from New York City and across the country. Build your resume while immersing yourself in theatre, working on seven main stage and three children’s theatre musicals throughout the summer. To apply for positions in our 2019 season please send us a Resume, Cover Letter and References. Costumes for classic and contemporary musicals are very much in focus on our intimate, unique theatre-in-the-round stage. You’ll work with top caliber directors and artistic staff, combining your new designs with our extensive stock to create shows that look stunning. Hands-on position; fully staffed costume shop on premises. Costume Shop Technicians will work directly with the Costume Designer and Costume Shop Manager to execute the building and fitting of all productions in the season. Applicants should be highly motivated and team oriented, with a strong background in costume construction and must be proficient with hand and machine (home and industrial) sewing, alterations, and flat patterning. Basic draping, dyeing, costume crafts, and millinery are all assets. Candidates must be able to lift 25 pounds and be ready to work in an exciting and fun environment with a very fast changeover. There are Costume Design opportunities for our Children's series for qualified applicants. Competitive salary, Housing, Travel Stipend, and some meals are provided. Job Dates (flexible) are May 12- Sept.2, 2019. The Cutter/Draper will work directly with the Costume Designer and Costume Shop Manager to execute the patterning, building and fitting of all productions in the season. Applicants should be highly motivated and team oriented, with a strong background in costume construction (patterning, cutting, draping) and must be proficient with hand and machine sewing and alterations. Candidates must be able to lift 25 pounds and be ready to work in an exciting and fun environment with a very fast changeover. Competitive salary, Housing, Travel Stipend, and some meals are provided. Job Dates (flexible) are May 12- Sept.2, 2019. The Wardrobe Supervisor will work directly with the Stage Manager, Costume Designer,and Costume Shop Manager to execute the organizing and running of all productions in the season. Applicants should be highly motivated and team oriented, with a strong background in Wardrobe Supervising and the management of a team of dressers/interns. Candidates must be proficient in both hand and machine sewing to handle light alterations when needed. Candidates must be highly organized and able to generate paperwork and notes for each production as well as the running of the show. Wardrobe Supervisor will be responsible for the laundry and general upkeep of each production. Candidates must be able to lift 25 pounds and be ready to work in an exciting and fun environment with a very fast changeover. Competitive salary, Housing, Travel Stipend, and some meals are provided. Job Dates (flexible) are May 12- Sept.2, 2019. Enhance the atmosphere, define the location and add to the action with sets that creatively set the scenes of classic and contemporary musicals. You’ll work with top caliber directors and artistic staff, combining our new designs with our stock pieces to create shows that look stunning. Hands-on position to work out technical and space situations; also do own painting with some assistance. Fully staffed scene shop on premises. 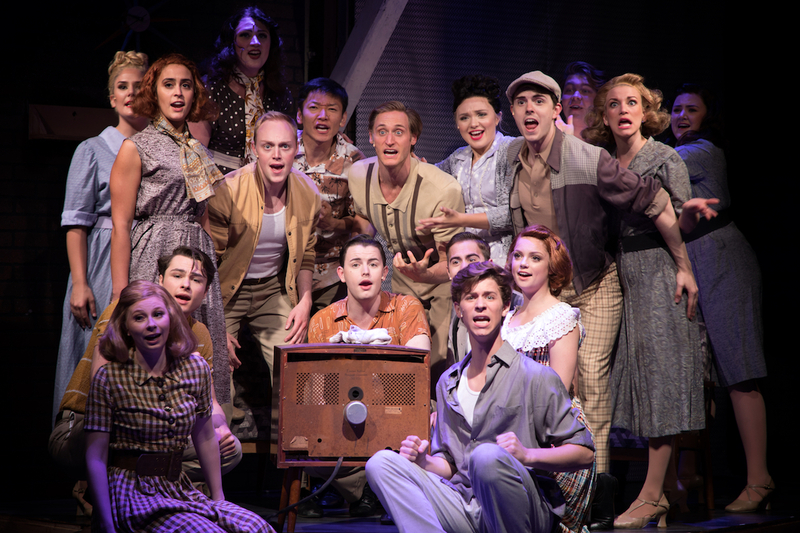 Work with top caliber New York City directors; also top-notch performers (non-Equity and Equity Guest Artists) on classic and contemporary musicals. Strong tech knowledge and excellent communication, people and organizational skills are an absolute must to handle all aspects of rehearsals and performances. Stage Manager: Hands-on position includes but may not be limited to: keep book for all rehearsals, assign and sometimes help with scene changes, keep close contact with production office, track rehearsal and tech progress, performance notes, scheduling, oversee changeover, set up for performances, maintain show integrity throughout performances; SM does not call cues. Assistant Stage Manager: Hands-on position includes but is not limited to: assist stage manager in all areas, sometimes help with scene changes, set-up for shows, etc., ASM does not call cues. The Mac-Haydn Theatre in Chatham, NY is seeking Scenic Carpenters for its upcoming Summer 19 Season. Located just 2 hours north of NYC and nestled between The Catskill Mountains and The Berkshires, The Mac-Haydn produces 7 mainstage musicals and 3 Childrens shows every Summer. Scenic Carpenters will work directly with the Scenic Designer and Technical Director to execute the building and installing of all productions in the season. Applicants should be highly motivated with a strong background in scenic construction and must be proficient with hand and power tools, drafting, as well as basic/advanced scenic painting. Candidates must be able to lift 75 pounds and be ready to work in an exciting and fun environment with a very fast changeover. There are Scenic Design opportunities for our Children's series for qualified applicants. Competitive salary, Housing, Travel Stipend, and some meals are provided. Job Dates (flexible) are May 12- Sept.2, 2019. The Properties designer will work directly with the Director, Choreographers, Scenic Designers and Technical Director to execute the building and acquiring of all props in the season. Applicants should be highly motivated with a strong background in Props construction, scenic construction and must be proficient with hand and power tools, upholstering. as well as basic/advanced scenic painting. Candidates must be able to lift 75 pounds and be ready to work in an exciting and fun environment with a very fast changeover. There are Scenic Design opportunities for our Children's series for qualified applicants. Competitive salary, Housing, Travel Stipend, and some meals are provided. Job Dates (flexible) are May 12- Sept.2, 2019. Work with top caliber directors, designers and staff from New York City and around the country, maintaining and dressing musicals. Strong organizational, dressing and repair skills and ability to work calmly through some multi-show days are a must. Responsibilities include but may not be limited to: maintain all costumes of show in performance: repairs, cleaning, etc., insure that costumes are maintained properly as to fabric care, etc., work with director and stage manager to plan quick changes, assign and execute changes, set up for shows, maintain dressing room areas in safe, workable manner; clean, launder, repair and restock costumes at close of show. Work with top caliber directors and designers from New York City and around the country, styling wigs and hair for main stage and children’s theatre musicals; also work closely with Artistic Director. Strong research and styling skills are a must for this busy, rewarding position which needs someone who thrives on doing their best. Also assist with make-up styling and possibly create looks for specialty characters. Assist wardrobe with quick changes as needed. Work with top caliber directors, musicians and performers from New York City and around the country on all aspects of sound in our unique and challenging space. Blend live musicians, Kurzweil keyboards, percussion and singers' body mikes for optimal legitimate musical theatre sound. Maintain microphones and other equipment; work on seven main stage and three children's theatre shows, also two coffee house performances each week and five additional performances throughout the summer. Excellent professional experience for person enthusiastic to learn more about all aspects of wardrobe. Work with experienced wardrobe head; responsibilities include but may not be limited to: assist with maintenance (laundry, cleaning, repair) and running shows (setting costumes, quick changes), keep dressing room areas safe and workable, restock costumes to storage. Excellent professional experience for person enthusiastic to learn more about all aspects of technical theatre. Primarily working in scene shop, helping build sets for unique theatre-in-the-round space; also assisting in all other tech areas as needed, possibility of running lights or sound for some shows.